The Vibro-Champ is 6 watts of raw power. 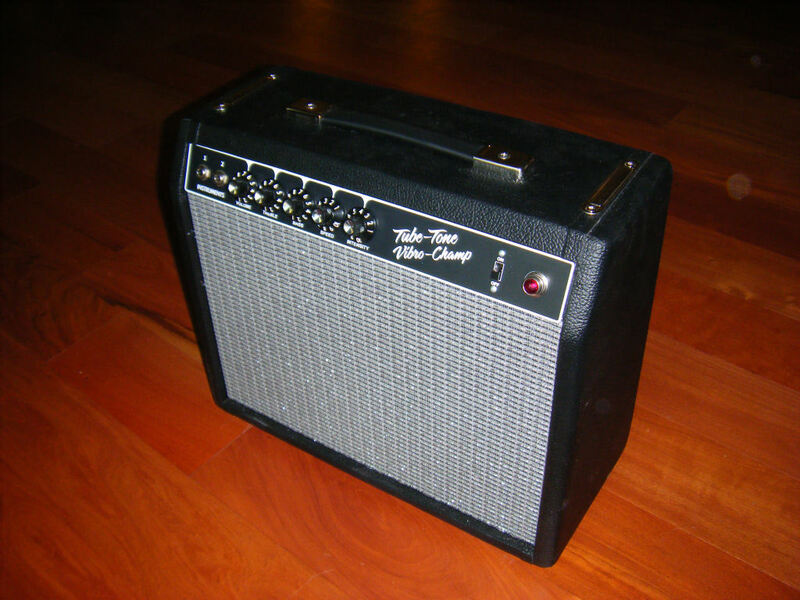 Great tone for such a small package. 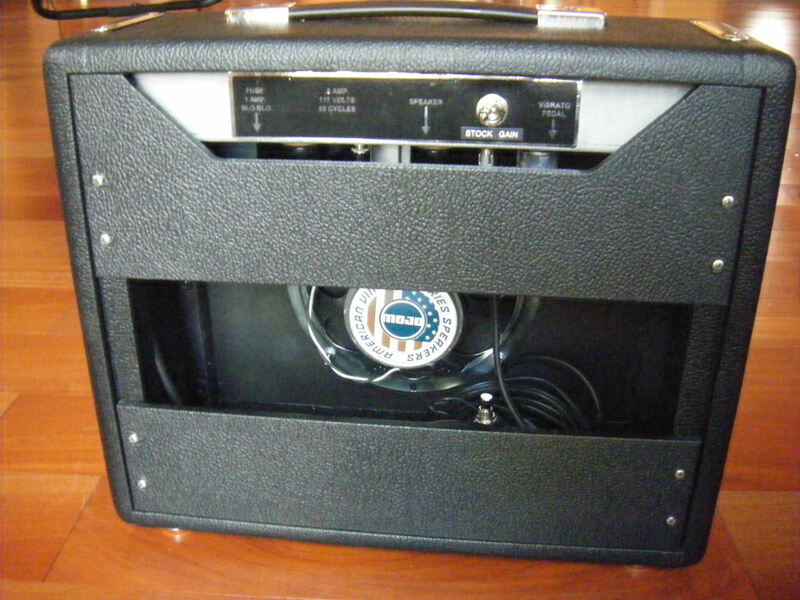 Single-ended Class A, AA764 circuit, using a single 6V6 power tube with 12Ax7s for preamp and tremolo tubes, using a Mojotone ceramic 8" speaker. 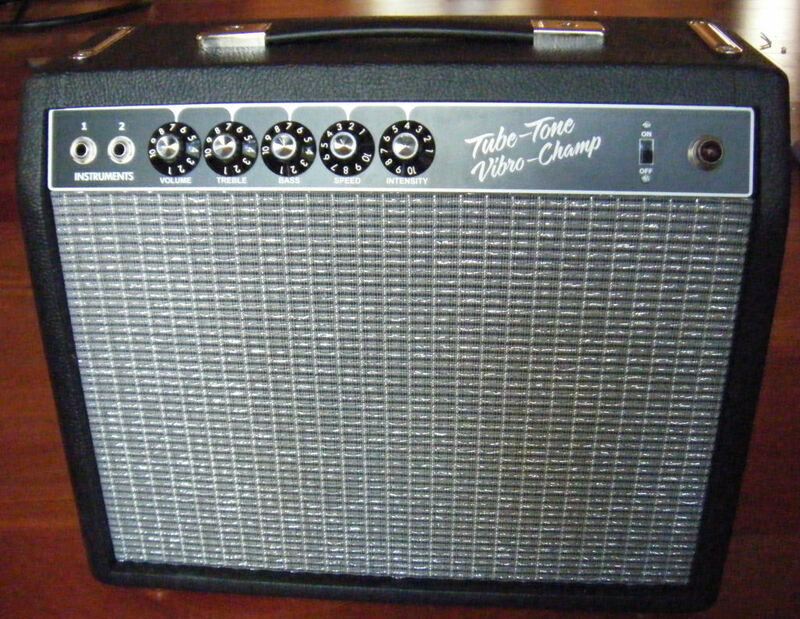 Deposit required for Tube-Tone Vibro-Champ amplifier. Total price is $1165 with free ground shipping in continental US, or $1125 plus shipping to other destinations. Please inquire on our discounted FedEx and GLS shipping price. Specify cover and grill cloth, pilot light color, 120v or 230v. Allow 5-7 weeks build time. California residents, sales tax is added.